A superior equine hoof supplement for optimum hoof, coat & skin health. 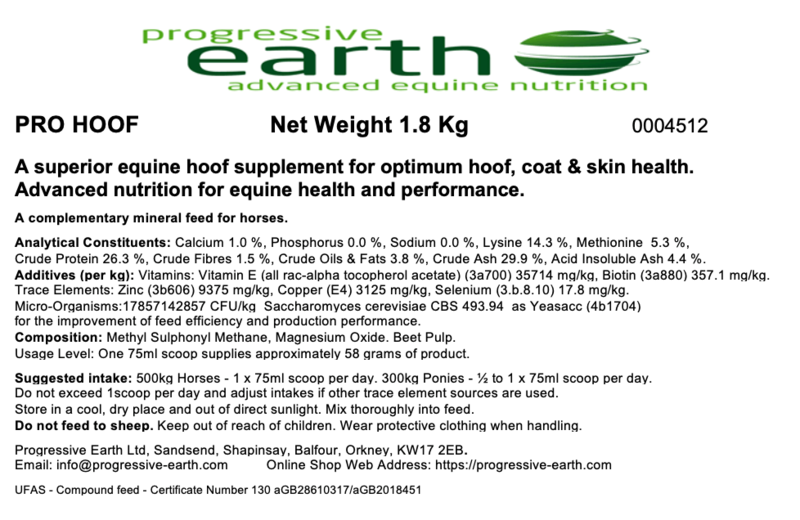 Progressive Earth’s acclaimed Pro Hoof supplement is a high quality, low sugar and starch, blend of vitamins, minerals, and amino acids, specifically formulated to promote the growth of healthy well connected hoof wall, strong sound hooves, shiny coat & healthy skin. Our high specification formulas as carefully balanced using optimum ratios defined by the National Research Council. Targeting only the deficient minerals in forage. 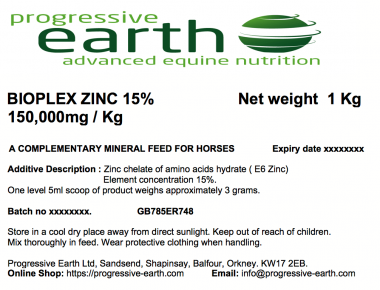 We have also added 15g of MSM: An important component of connective tissue, playing a particularly important role in hooves, bones, joints and skin health and Yea-Sacc to support gastrointestinal health and integrity. 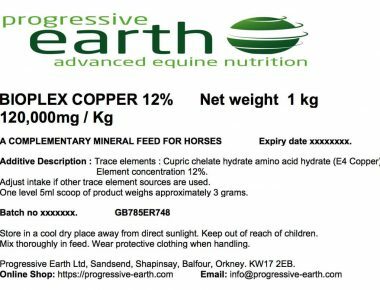 This product is ideal for those horse owners who want to balance their horses diet but are unable to formulate a diet based on a bespoke forage analysis. Pro Hoof can also be used as a building block feed balancer for which to formulate a bespoke feeding plan. A 1.8 kg bag of Pro Hoof will last 31 days when fed at the rate of one 75 ml scoop per day. Feed 1 x 75 ml scoop of Pro Hoof per day for an average 500 Kg horse. Feed 1/2 to 1 x 75 ml scoop of Pro Hoof per day for an average 300 Kg pony. Pro Hoof is a powdered supplement which we recommend is mixed with a damp base feed, such as beet pulp fast fibre or dampened chop. Crude Protein 28.5%, Crude Fibres 2.2 %, Crude Oils & Fats 3.8 %, Crude Ash 29%, Acid Insoluble Ash 4%. Folic Acid (3a316) 344.83 mg/kg, Biotin (3a880) 357.1 mg/kg. Selenium (Organic selenium 3.b.8.10) 17.241 mg/kg, Iodine (calcium iodate anhydrous 3b202) 20mg/kg. Micro-Organisms: 17241379310.35 CFU/kg Saccharomyces cerevisiae CBS 493.94 as Yeasacc (4b1704). Composition: Methyl Sulphonyl Methane, Magnesium Oxide, Peppermint. Usage Level: One level 75ml scoop supplies approximately 58 grams of product. Any questions? If there are any questions about Pro Hoof or any other of our range of products, please contact us by email. 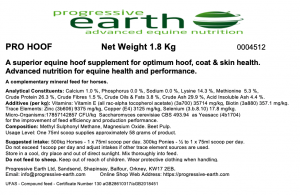 Pack size and availability: Progressive Earth Pro Hoof equine feed supplement is available in resealable grip seal pouches containing 1.8 Kg or 3.6 Kg of product. A 75 ml scoop is included. Sample Packs: Pro Hoof is also available in 450g sample packs. Please note: Sample packs do not contain a scoop. I just wanted to let you know how I’m getting on with pro hoof. I’m on my 2nd 3.6kg bag and the change in frog appearance is amazing. 6 weeks ago my trimmer came and even before she picked up his feet she asked what I’d changed as he looked so good. He’s be barefoot since before I’ve had him and I’ve fed for his feet since I got him 2 years ago. Low sugar, low starch and I’ve added both branded supplements and magnesium, copper, zinc, selenium, biotin and yeasaac which I mixed myself. Whilst his hooves were ok, I couldn’t seem to get rid of underlying thrush. Nothing bad, but there all the same. Within a few weeks of using pro hoof, the frogs became ‘drier’ somehow and less spongy. They gradually widened and the central sulcus have become flatter. This time last year we were using boots to hack out and today he trotted back up the Stony track back to our yard without even flinching. I should have tried pro hoof sooner! 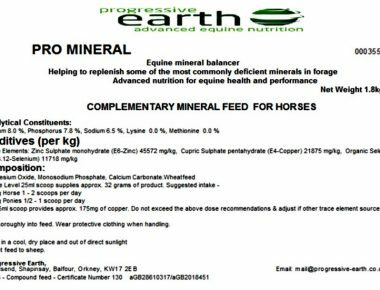 Just some feedback to let you know how good your product is, 2 horses, cob and TB, 2 weeks and difference in condition, very laid back, and showing much softer more defined muscles. Thanks for a great product. I took Marnie out on Sunday , this time last year she was in boots due to the wet field. Now despite the wet she is not booted and secondly we did a ride which I used to boot her for because its really stony and she went barefoot and never flinched! The only thing different is Pro hoof, so glad I put her on it!! Brill company brill product farrier has never before seen such results.